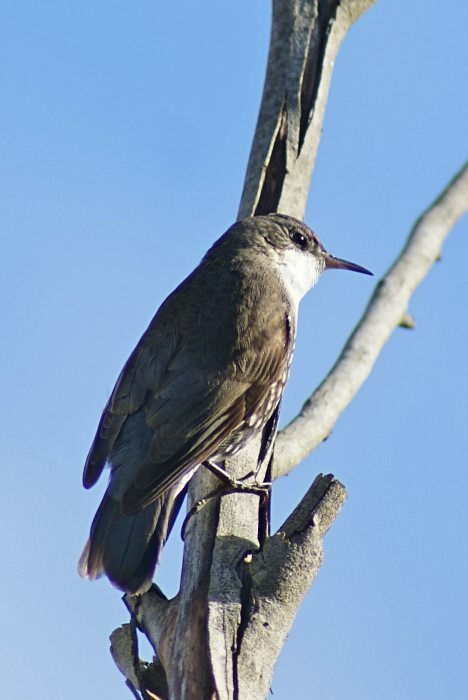 White-throated Treecreepers are fairly common small birds (13-15 cm in length) in the east of Australia and resemble the treecreepers of Europe and Asia. They have the same behaviour of climbing up tree trunks (Varied Sittellas climb down) in search of insects and other invertabrates. 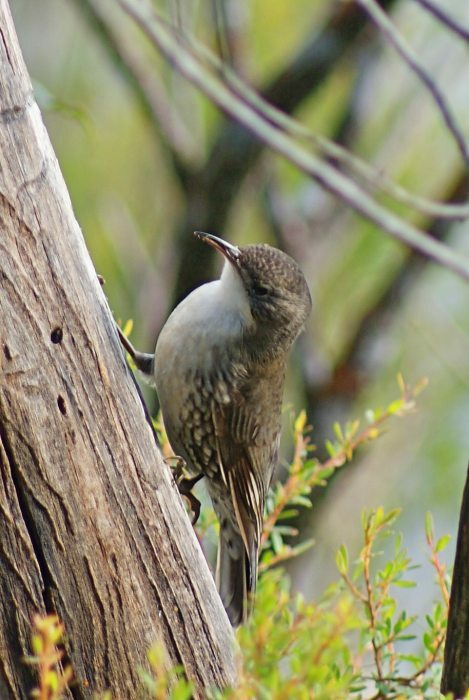 Of the six treecreepers present in Australia, this one is the only representative of the genus Cormobates (the other being a native of Papua New Guinea) and the rest of the Australian birds being in Climacteris. 1: Echo Point, Katoomba, NSW, 02/06/2011.